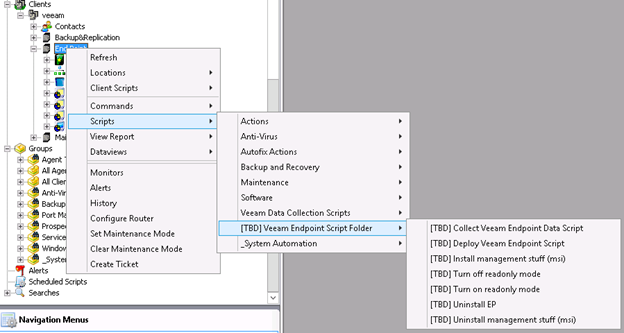 From previous Blog's article you can view new Veeam Endpoint Free edition that is very useful about pcs backups. 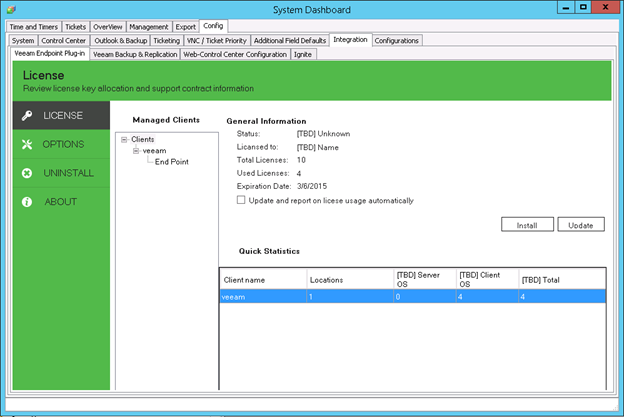 One feature that was missing it was centralized console about IT Administrators. 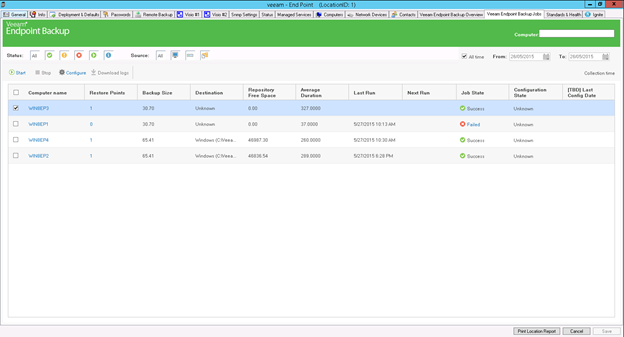 Veeam Endpoint Backup for LabTech is a solution specifically designed for service providers using the very well-known LabTech remote monitoring and management (RMM) platform. 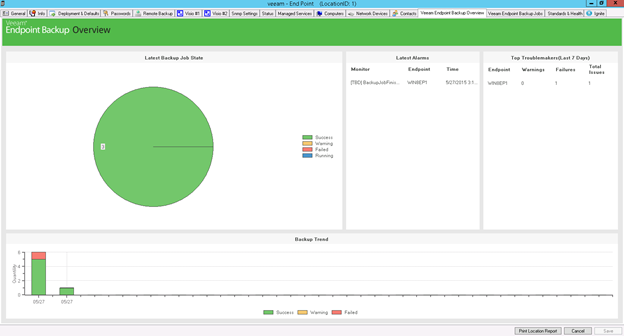 Through the LabTech Control Center console, service providers will have the ability to back up, recover and manage customers’ endpoint devices (and some of those last remaining physical servers) from a single pane of glass. 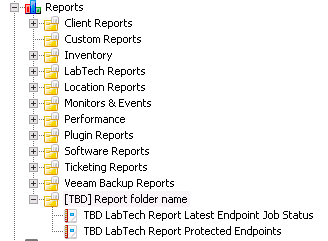 Veeam Endpoint Backup for LabTech brings remote deployment, remote configuration of backup jobs, monitoring and centralized management into the service provider’s hands. 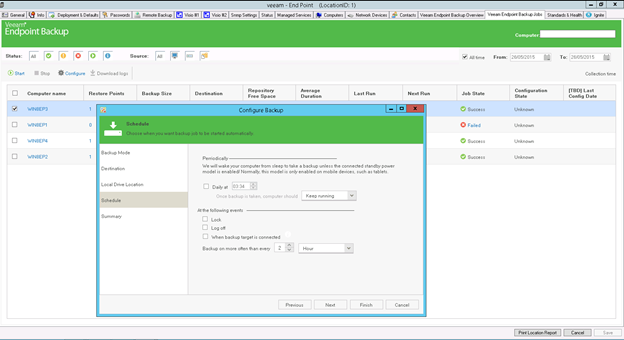 and the Veeam Backup & Replication Plug-in for LabTech, service providers will now have the ability to use the most known and established solution to protect their customers’ virtual servers, endpoints, and those last remaining physical servers.